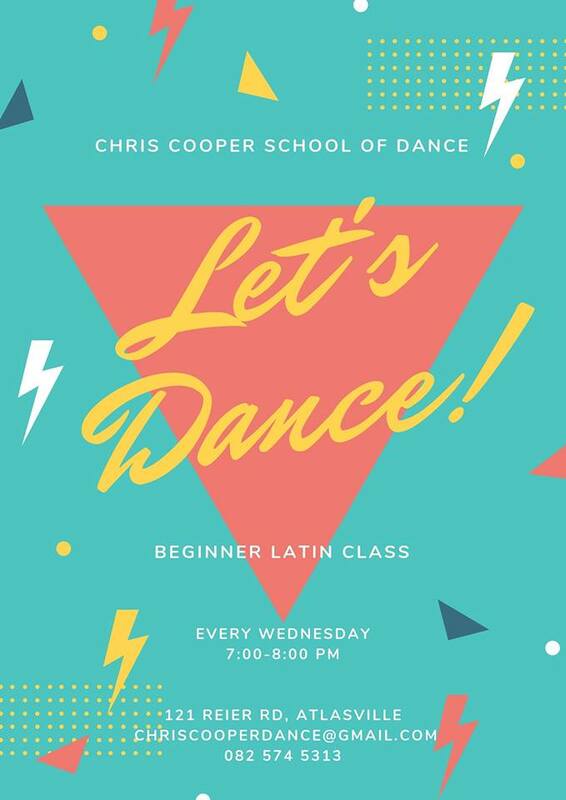 Don’t forget to come and try out our new Latin class! — at Chris Cooper School of Dance. Chris Cooper Dance Studio teaches both International Competitive and Social styles in Ballroom and Latin American, and Wedding Couples are more than welcome too. Dancers from Chris Cooper Dance Studio, representing South Africa regularly compete internationally at the World Championships and the British Championships at Blackpool. Copyright © 2019 Chris Cooper Dance. All Rights Reserved.